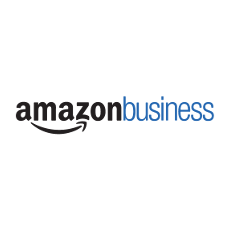 Tie your Flubit and SKU Cloud prices to Amazon and eBay to maximise your sales and beat the competition. We've made managing your prices on SKU Cloud & Flubit as simple as possible by giving you the easy upload, automated feeds and manual editing facilities you need to grow your sales on the deals marketplace. Our Pricing Profile feature allows you to set up the specific pricing rules that are right for you on Flubit. And that's important with Flubit's unique way of promoting your items. the easy way with Seller Dynamics. Flubit aims to offer a better deal to the consumer than Amazon due to a highly competitive retailer fee structure, so you'll be grateful for our pricing flexibility. And SKU Cloud gives you access to a range of new digital channels including media publishers. Our range of SKU Cloud & Flubit management options will give you the control and comfort you need. Easy to upload CSV files, data feeds and of course manual edit facilities are all aimed at ensuring your prices are managed with ease. Whether you are selling on Flubit alone, or also across the range of SKU Cloud digital channels we'll make life simple for you. Call us to find out more about SKU Cloud & Flubit on 01786 430076.